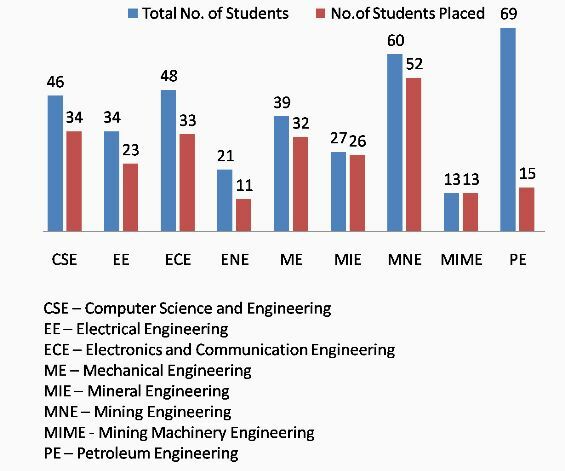 Sir I want to know about the Indian School of Mines Dhanbad Placement Packages so please can you give me the detail of the packages and provide me the page where I can download the detail of the Packages? 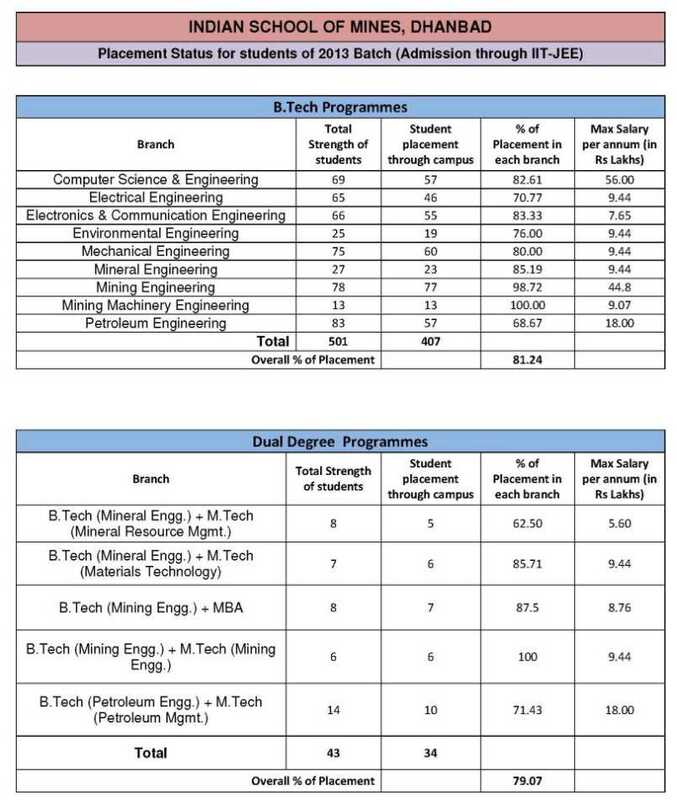 Student got awesome salary package. 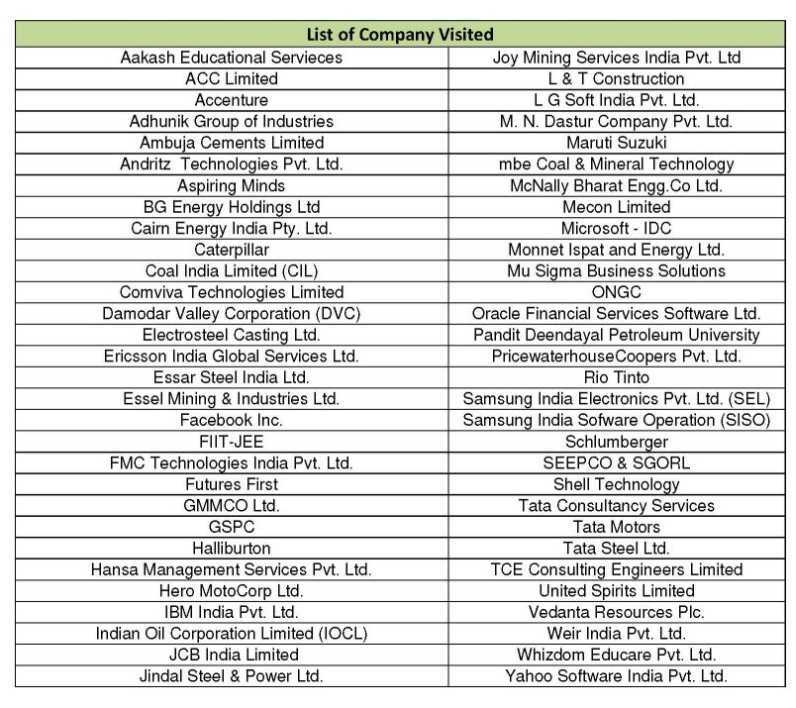 I am providing you image for the 2012 placement. 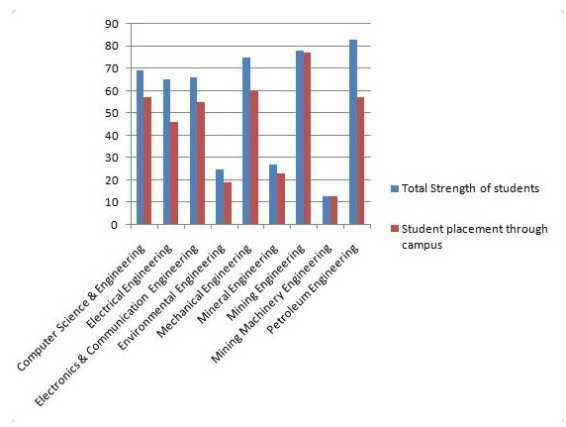 In previous years, the Indian School of Mines Dhanbad students got annual placement package form 21 lakh to Rs 32 lakh. 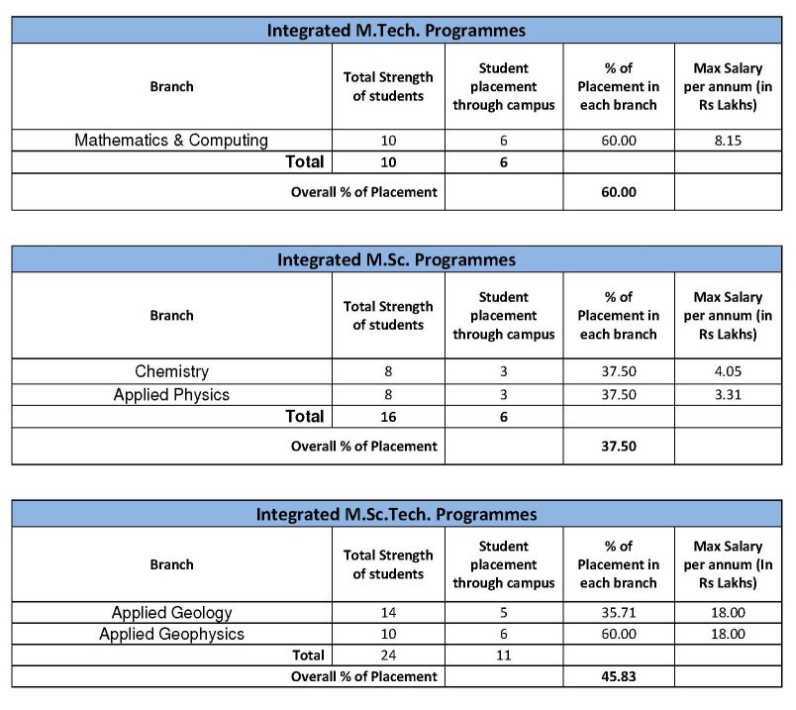 here, I am giving you branch wise maximum salary package offers to students. 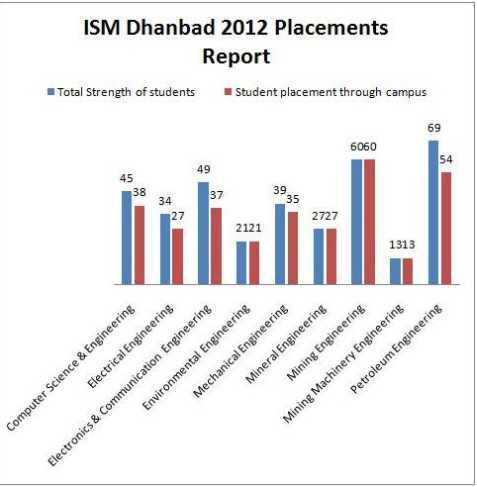 Here, I am giving you placement Statistics of the ISM Dhanbad.